The TRITON 27 is similar to the earlier US 27 by US Yachts. 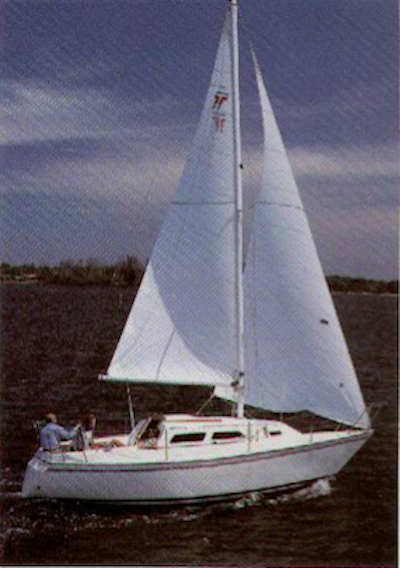 In 1984-85 Pearson sold a line of sailboats that it called the Tritons. This may have been an attempt to capitalize on the success of the much earlier 28 foot TRITON, one of the companies first models. The molds for these yachts were actually purchased from US Yachts/Bayliner Inc. (the Buccaneer series of sailboats). None were built in great numbers.